Northeast Ohio is our home, and we care deeply about making life better for the people who live here. 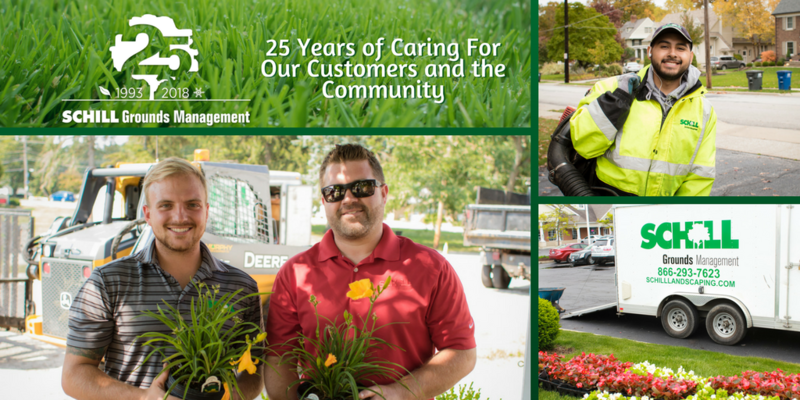 While community service has always been something we’ve encouraged all of our team members to participate in, for Schill's 25th anniversary we wanted to be more intentional about giving our time to families and organizations who are making a difference. So, in February and November the Schill team will spend an additional 250 hours giving back great people and organizations in the areas surrounding Cleveland, North Ridgeville, and Sandusky. 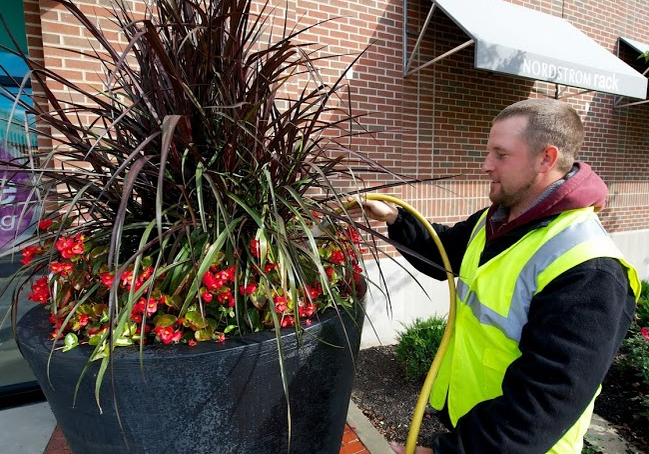 From adding seasonal color, to installs with larger plants, to complete landscape overhauls, landscaping enhancement projects can significantly improve the everyday experience customers, employees, and tenants feel on any property. That’s why we’re giving away an enhancement project valuing up to $2,500 to one lucky organization. Does your company partner with a local charity whose landscape could use a little TLC? 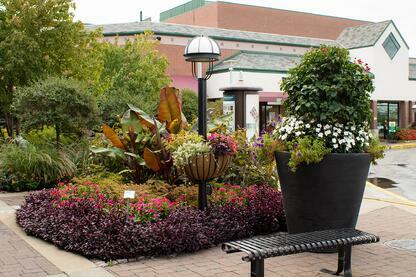 Do you have a great idea for a shared space for your commercial property? Do you want to build a community garden that will fight hunger in your area, or maybe an outdoor office for your employees? Or, perhaps you just want to beautify your entrance. Either way—if you're a Schill client and would like to nominate an organization doing great things in the community (or your own commercial property), talk to the team at Schill Grounds Management about how we can help. Einstein once said that intellectual growth should commence at birth and cease only at death. Here at Schill, we've found that team members who seek to learn more about this industry tend to perform better. That's one of the many reasons why we've spent thousands over the years supporting continuing education in the form of tuition reimbursement for industry-related courses. This year, however we’re looking to take this a step further by offering a $2,500 scholarship to any Schill employee or their family member looking to pursue higher education. As the cost of education continues to climb, it’s our hope that this annual scholarship will provide a little extra assistance to an extraordinary individual looking to achieve their goals. We couldn’t have gotten through the past 25 years of serving Northeast Ohio without our amazing customers —from those who have been with us since the beginning to those who are new to the Schill family, we appreciate everyone! So, in honor of our amazing clients, we're taking 25% of our clients, and donating $25 each in their name to charity in June as our way of saying "Thanks!" We love improving our community by making landscapes more aesthetically pleasing, but we realize that that’s not always the best way to make an impact. 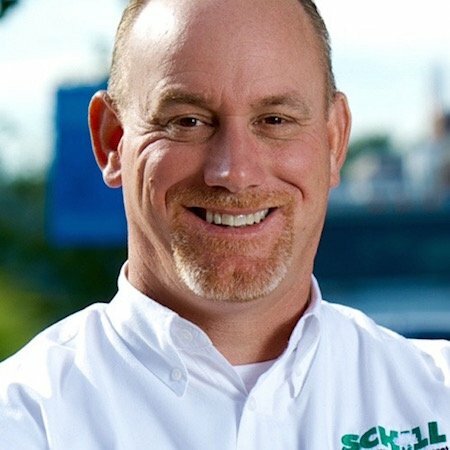 In addition to the landscaping projects above, in October Schill is going to make a $250 donation to a or charity or nonprofit that needs purely financial support. But the giving doesn’t stop there! We’re going to finish the year strong with 25 Days of Giving in December. Do you belong to an organization in Northeast Ohio that could use some help? Schill Grounds Management is looking to partner with great individuals and groups. Contact us today to discuss your needs, and we’ll be in touch.